As I was observing an oriole’s nest in Jenkins Arboretum in Devon, Pennsylvania, I kept noticing a Wood Thrush, Hylocichla mustelina, gathering food near me and coming so close I could almost reach out and touch it. I noticed that it often had not one insect but several. Surmising that the bird was gathering food for its young, I discovered the nest nearby. 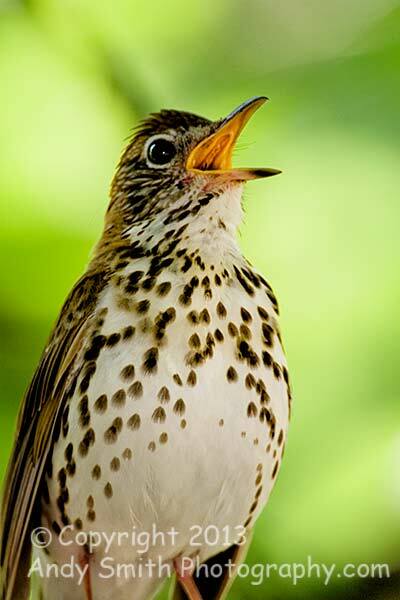 Here is one of the adults singing.